In our Meet the Collectors series we come across collectors from all parts of the world. After the recent visit to Italy, this time we travel to the United States of America, where we meet Sonny. "My name is Sonny Willimon. I live in Tulsa, Oklahoma in the United States. I currently work in local government and also as a soldier in the US Army National Guard. 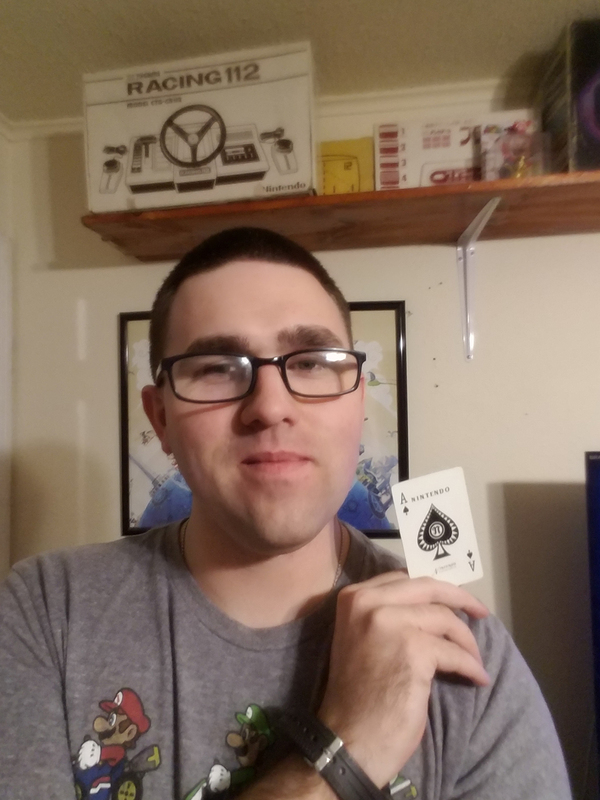 I just recently turned 30." "I've been enjoying Nintendo products quite literally since the near-beginning of my life. There exists a photograph of two-year old me from 1990 sporting a Super Mario Bros. 2 shirt. Nintendo and Mario have been a constant preoccupation for me during my spare time ever since mother decided to pick up an NES from a local pawn shop for us kids to enjoy. 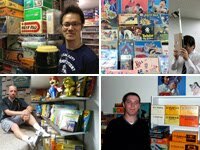 From there, I started to collect Nintendo games back as early as 1998." 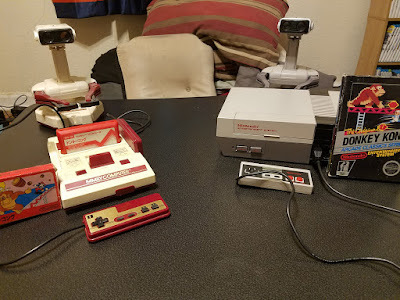 "Up until around 1999 or so, I was like so many who thought that Nintendo was something that came from the 1980s like New Wave music or the Care Bears. It wasn't until after Nintendo started to put little hints in their games such as Super Smash Bros., Game Boy Camera, and the WarioWare series that I became aware of their long history." "The more that I've read up on the company history, the more I became genuinely fascinated with Nintendo. A lot of the qualities that we see out of their products today are reflective of their products forty or fifty years ago. They were never afraid of trying something new and bold, and that's why Nintendo has a reputation for being trendsetters rather than simply following trends like so many others do." 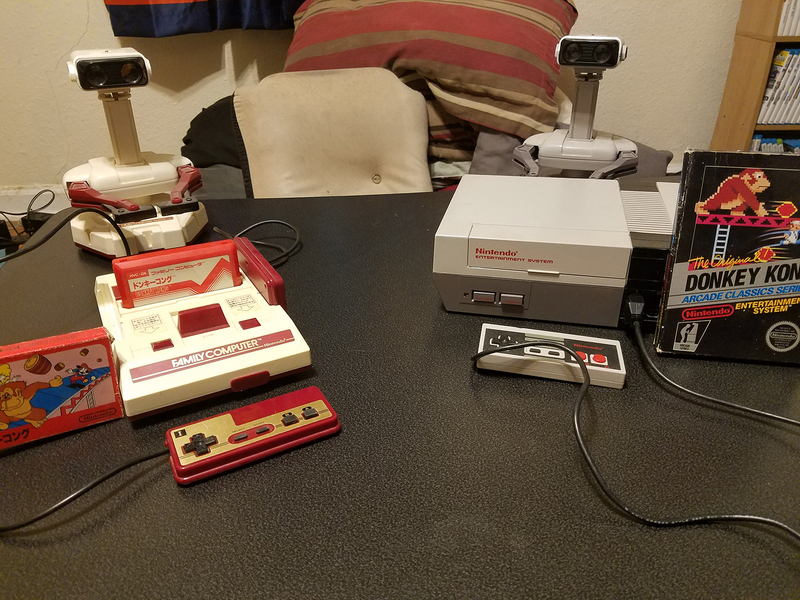 "My collection of Nintendo hardware, software, and memorabilia spans the entire history of the company, and quite possibly the largest single collection of Nintendo products in my state, or even the surrounding states also." "It was only recently after I've met some goals collecting specific Nintendo titles that I trained my efforts on collecting products from before 1979. So far, I've collected some cherished and valuable artefacts, including a Chiritori unit." "Snagging one of those has been the most challenging acquisition thus far! 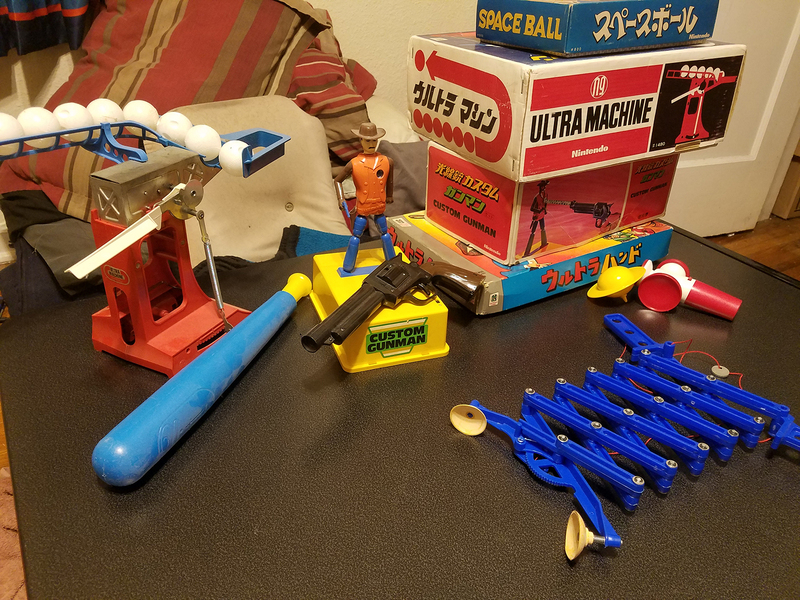 I also collected an Ultra Machine, a Custom Gunman, an unopened Ten Billion Barrel, the Ultra Hand, and an Ultra Scope. 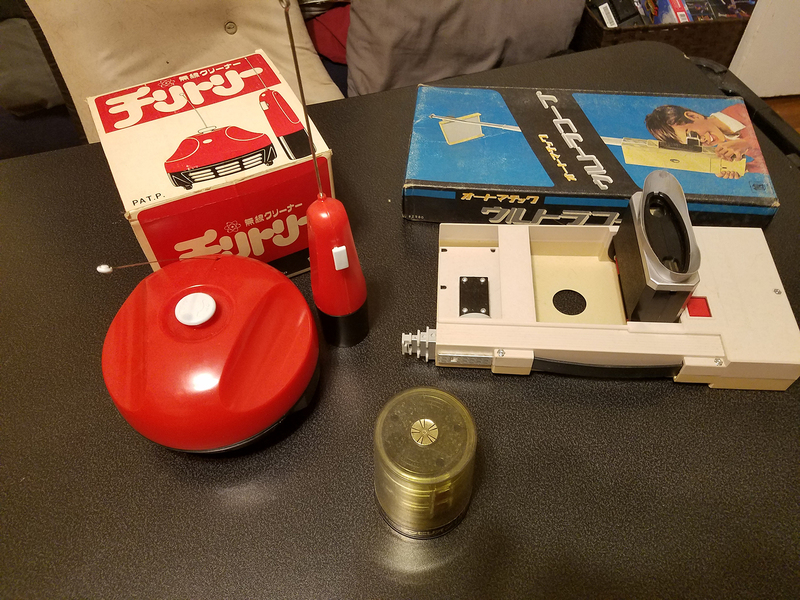 Although I've yet to visit Japan, I'm thankful for the existence of Japanese auction sites, or else I would have never ran into these items." 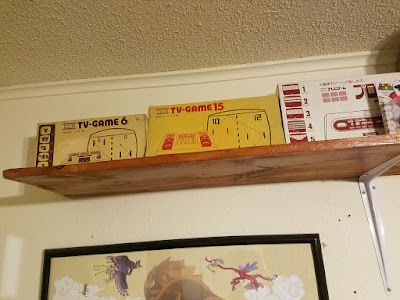 "With the exception of the Ten Billion Barrel, I make a point to keep and display items out of the box and routinely use them either to demonstrate how it works or just for personal entertainment." "I'm not one to keep things in boxes and shrink-wrap. I like to enjoy my items the way they were meant to be enjoyed, and to try and keep them looking and working as good as the day they were bought. This can present challenges from time to time, as I've sometimes had to do cleaning or repairing, but it's been a very satisfying experience nonetheless. There's nothing quite as exciting as watching some old gadget from long ago spring to life." "At the present moment, I'm still looking out for a vintage Love Tester unit. I've seen some of the 2010 remakes here and there, but I'm holding out for the real thing. Additionally, I'm looking for the oldest Nintendo-related item I can find. So far, I have a Hanafuda card deck that dates back before the 1940's, as evidenced by the right-to-left Kanji writing on the cards." "It's hard to get some of the older items from before the 1960's accurately dated simply due to the lack of recorded information from that era. 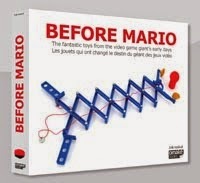 That's why I like the beforemario blog. 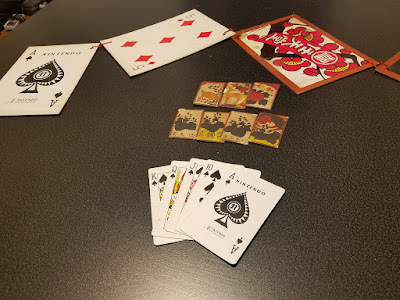 Archival history of Nintendo from the late 19th and early 20th century is so hard to come by, but the blog makes an effort like nobody else to find and to present newly discovered info, pictures, and other artefacts. I really appreciate the work you guys do. Keep it up!" For more collector stories, check out the overview page of Meet the Collectors. Thank you! Nice to hear you like the blog.